Expert Vibro is Delphin Technology's new device for acquiring transient signals and vibrations. The latest processor technology enables up to 16 synchronous channels to be processed at high sampling rates while requiring minimal space. 24-Bit A/D converters ensure high precision. Users may switch between voltage measurement, IEPE or shaft vibration sensors. Integrated comparators and digital inputs allow flexible triggering. Measurement data is monitored "on the fly" with digital outputs being switched within msecs in the event of a limit value violation. Vibration measurement with Expert Vibro is user friendly. Intuitive configuration means fast installation and short training times. All relevant characteristic values are obtained from spectra and time signals. Spectra are calculated online and saved independently with time signals and characteristic values. 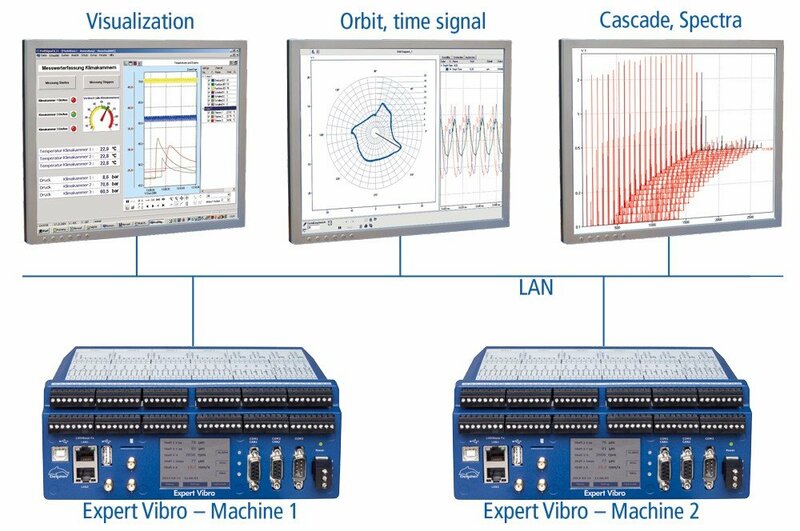 Versatile software channels enable the Expert Vibro to perform complex analysis and monito- ring tasks. The Expert Vibro's touch screen can display configuration or measurement data. 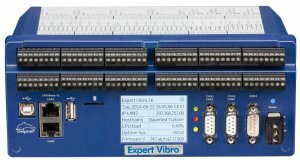 Expert Vibro can be connected via LAN to the intranet/inter- net and via USB to PCs. For standalone applications, integrated Wi-Fi, UMTS or LTE modules are optionally available. Connection is via an antenna at the SMA connectors. In addition to two PROFIBUS interfaces, Modbus TCP is available to users for fieldbus connections. 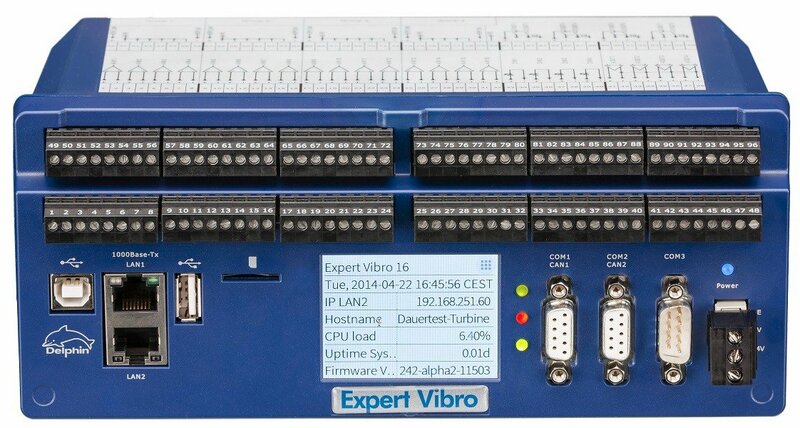 Multiple Expert Vibro devices can be synchronized with each other.